Hi! I wanted to keep my posting consistence, but I disappeared right after I said that. Ha, opps. I started summer school, so that's giving me less hours in the days. I think I will start scheduling my posts soon. Oh & I've came to the conclusion that making the flower tutorial is quite a challenge! I need a second pair of hands to help me film & to figure out how to make my hand not look as awkward. I also tried doing a photo tutorial, but it's not coming out to my liking =P I did a yellow background & purple flowers. I'll edit those another day. Anyways, my Bundle Monster plates came in the mail yesterday! This third set have some pretty awesome designs!! My favorite set so far! I was looking through all the images & a few of them screamed, "try me now!" Haha... here's the first one I tried! Hope you guys like it as much as I do! For this key lime mani, I'm wearing two coats of China Glaze Entourage & stamped the citrus image from BM308 using Wet n Wild French White Creme. I used both Seche Vite & Warpaint Beauty Mattify for my topcoat. I love this mani! ♥ I just finished watching the Kdrama "Secret Garden" the other day & this mani reminds me of it because of Key Lime. Hehe, you'll understand if you watched it. I can't wait to try the other possibilities with just this image alone. What do you guys think of this mani? 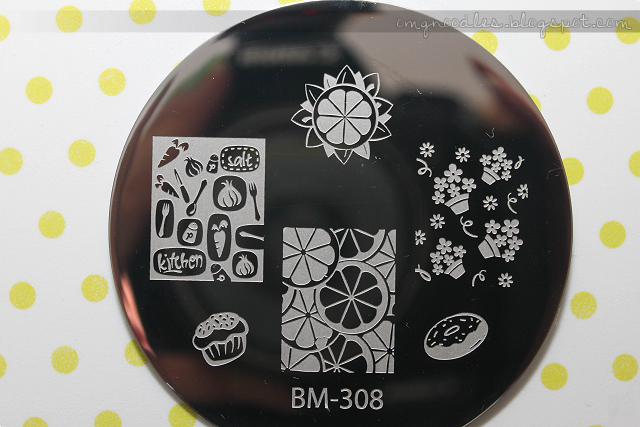 Did you order this third Bundle Monster plates? Have any favorites? Hello readers! I'm trying to get back into the habit of posting daily, if not then every other days. I had to dig up an older mani from a couple months ago that I have yet to show you guys. 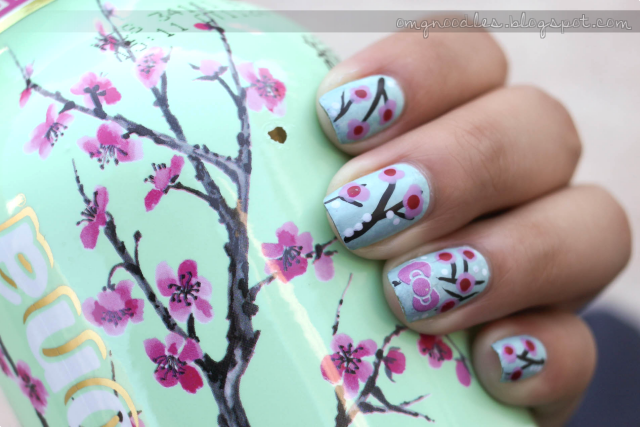 I did this for the weekend of the Cherry Blossom Festival. Since Sanrio plays a little role in the festival, I had to incorporate Hello Kitty & cherry blossoms together. 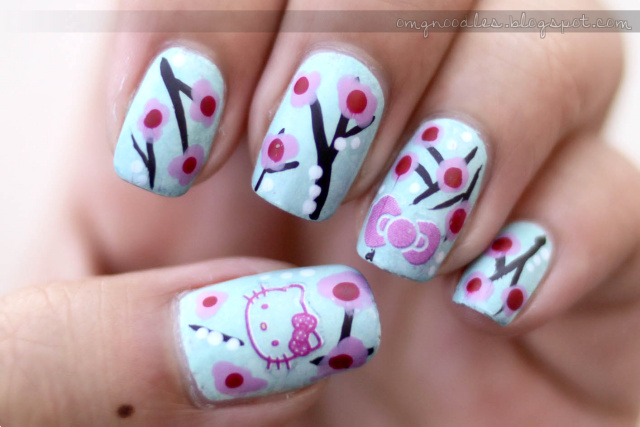 The cherry blossoms were done by a striping brush & dotting tool, while Hello Kitty & her bow are nail stickers. Hope you like this mani as much as I did! Oh & excuse my blog, it's about to go through a makeover tonight. My comments are all over the place. Sometimes Intensedebate works, sometimes it's the blogger one. Dislike! Previously a nail & food blog turned into a blog about bits & pieces of my random life adventures. Week 3: Color Block Mani.